Discount Home Improvement is West Michigan’s top choice for affordable kitchen cabinets and bathroom vanities. Our stores in Grand Rapids and Muskegon carry the latest styles of cabinets, fixtures and hardware from the best manufacturers at the lowest prices. Visit one of our showrooms and talk to our knowledgeable staff about your kitchen or bath remodel. We can help you choose the cabinets that fit your style and budget. Building your dream kitchen or bathroom can be even more affordable with our money-saving offers. You’ll always find a great deal on your cabinets, vanities and more at Discount Home Improvement. Discount Home Improvement carries more than just cabinets. Find a variety of hardware, fixtures and faucets to complete your kitchen or bath project. 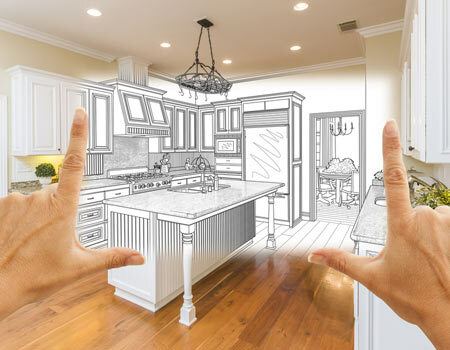 If you’re starting a kitchen or bath renovation, now is a great time to create exactly what you’ve always wanted. Choose from our line of in-stock kitchen and bath cabinets or special order your new cabinets from our trusted suppliers. With the help of a kitchen designer, even a small space can have spacious storage and a nice flow. Contact us today to get started!